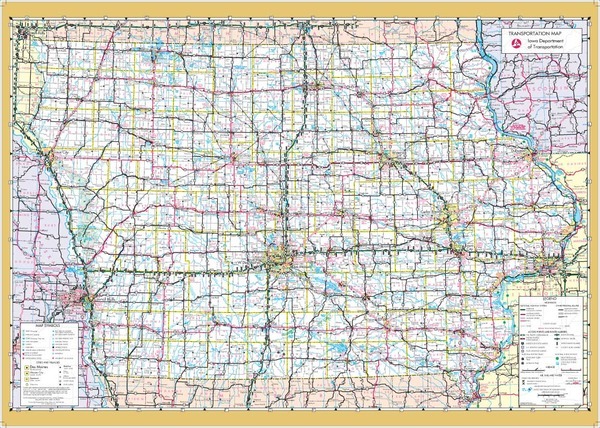 Large city, county and highway wall map of Iowa State available paper, laminated or framed in multiple sizes from 2×3 to 4×6 feet. Starting at $24.95. 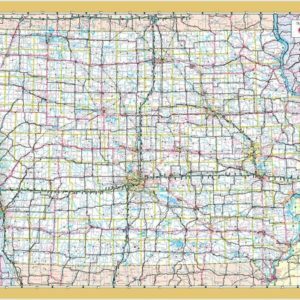 The Iowa Wall Map includes all state/federal highways, major waterways, towns, military installations, major airports, state universities, cities, state parks, wildlife areas, and various points of interest. The Iowa State wall map is available in a variety of sizes. Please inquire for custom sizes not shown below. Our wall maps are lithographed in 8 colors, are laminated, and indexed. If you are looking for the most detailed Iowa State wall map available this map is for you! Map data provided from the State of Iowa.